Your kids are all grown up, you’re nearing the age of retirement and all you can think about is how to make enough money to fulfill your plans for the future. You would like to keep your current lifestyle, but it’s a challenge on a fixed income. If this describes you, you may already be considering ways to make it possible. A direct selling company is a great way to quickly earn a profit and help you start saving and Kaeser & Blair is one the best in the promotional products industry. 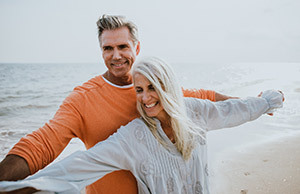 With average profits at 20% of the sell price and average orders close to $785, you could quickly make enough money to add to your retirement fund or even to take a spontaneous trip—whatever suits your interest. You have the potential to earn anywhere between 7,000-20,000 a year just by working part-time with K&B as your direct selling company, and between $60,000-$185,000 if you choose to make this a full-time job. On top of the incredible profit potential, Kaeser & Blair offers the most freedom and flexibility of any direct selling company. When you join the Kaeser & Blair Business Owner Program, you are in complete control of every aspect of your business. You are truly your own boss, with your own hours, place of work and business strategy. If you decide to take a road trip you can simply opt out of selling for a few days, no problem. You can work from the comfort of your home, morning or night, as little or as much as you want. Kaeser & Blair, as a direct selling company, has the goal of keeping your workload up to you. If you’re interested in becoming a part of the K&B direct selling company, but are worried about the integrity of the business, you may want to gain a little more insight about the brand; the proof is inherent in the business model. Kaeser & Blair supports its dealers with the strongest reputation in the industry. The direct selling company has a long history of success, dating back 100 years. Additionally, K&B does not require you to sign any binding contracts or make any restrictive agreements, so you are free to change your mind—though we doubt you will. Are you ready to join our direct selling company? By joining Kaeser & Blair, you are becoming a part of the most profit-oriented, flexible and respectable direct selling company you will find. Click here to order our Standard Business Owner Package today, for just $85. If you decide this is not for you, you can return the kit within 30 days for a full refund. Still unsure? Request our no obligation FREE TRIAL LAUNCH PACKAGE today and compare it to other direct selling company options. We are confident that Kaeser & Blair is right for you.